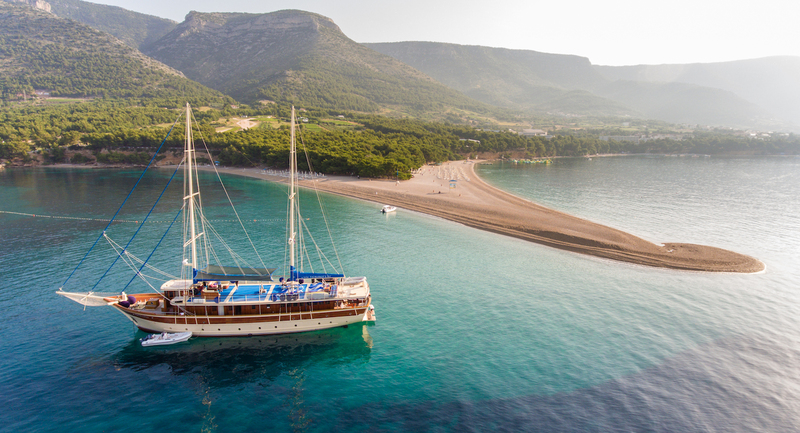 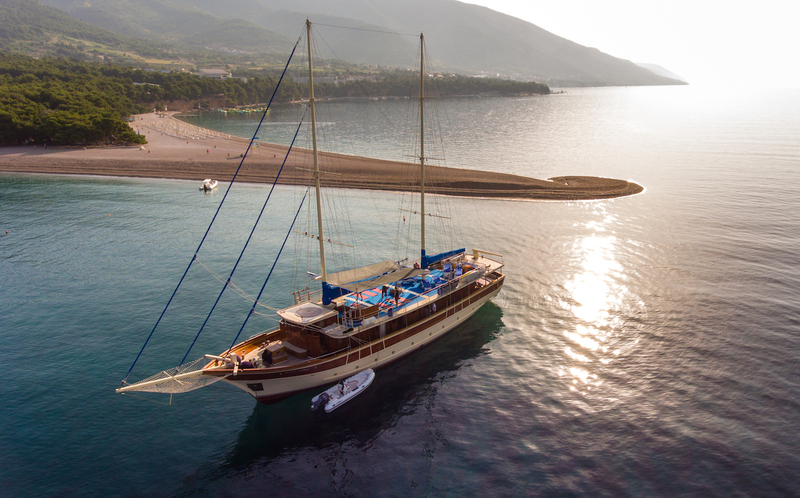 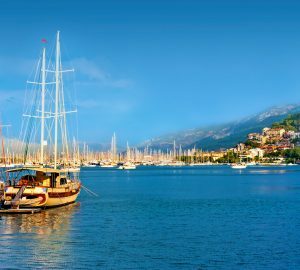 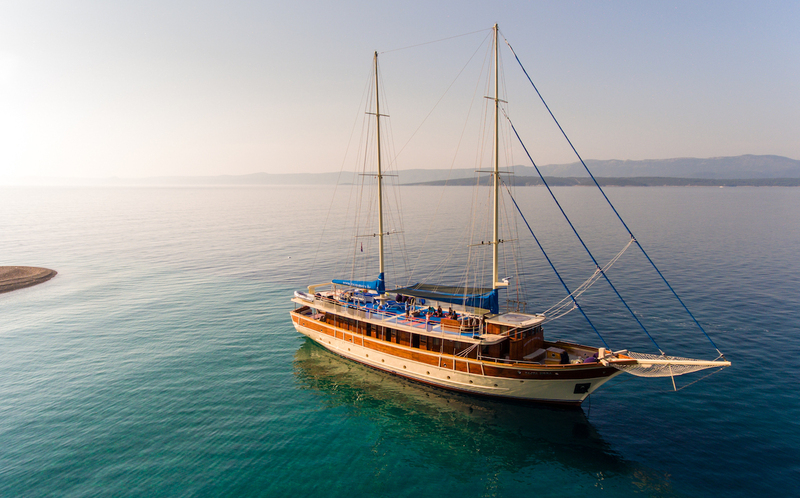 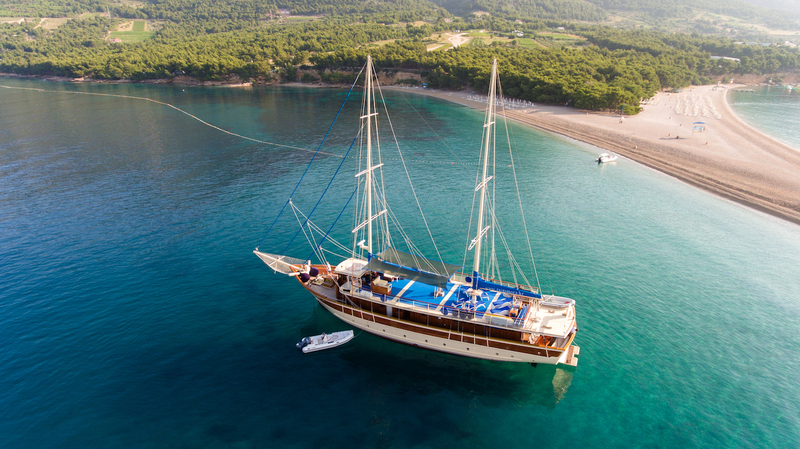 Built in 2007, 31m/103ft sailing yacht TAJNA MORA is a luxury gulet commonly seen sailing Eastern Mediterranean waters around Croatia. 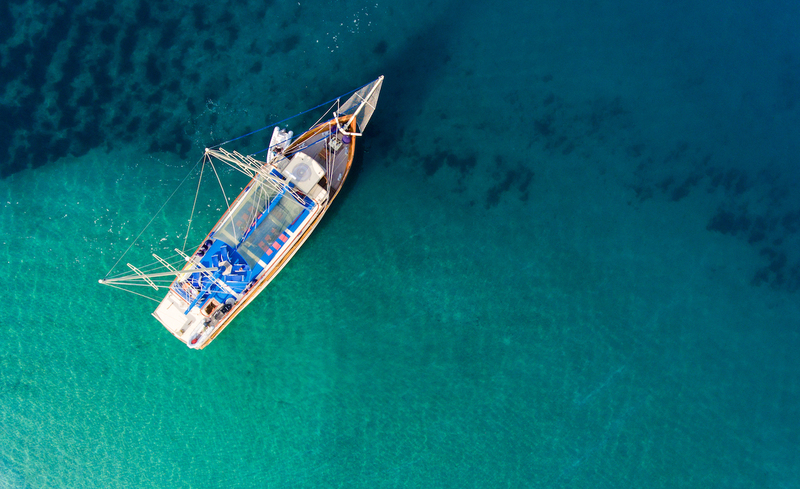 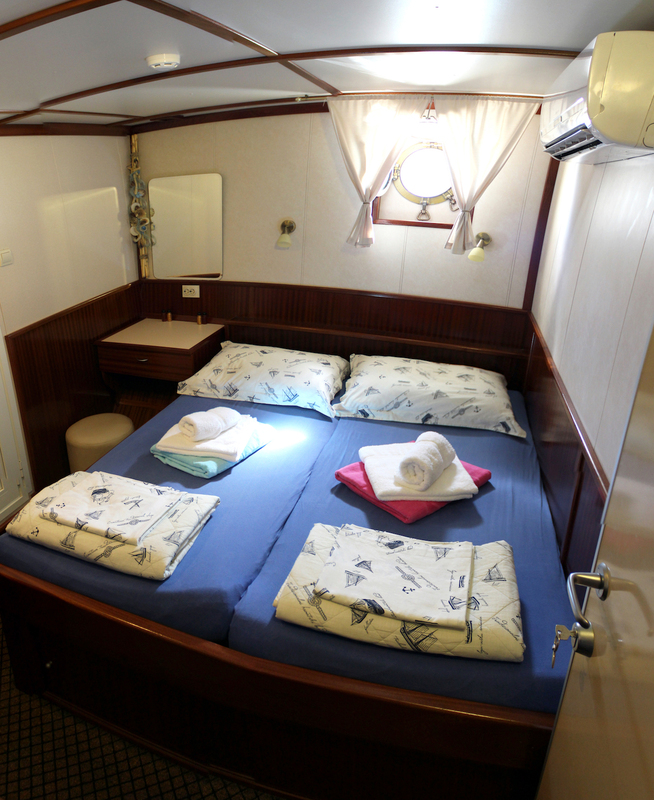 She accommodates up to 18 charter guests across 9 cabins. 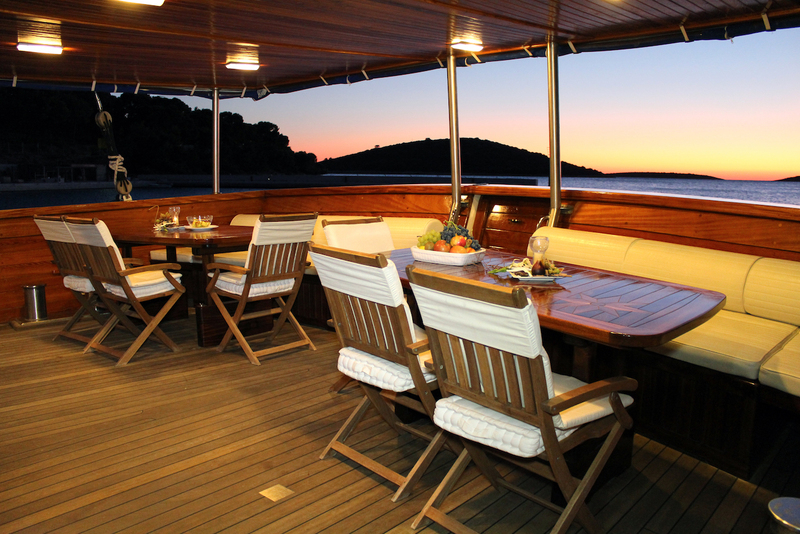 Above deck, guests are treated to two padded seating areas with tables for alfresco dining on the main deck aft under a canvas shade, and the bow has a forward seating area for guests to sit and enjoy the surroundings. 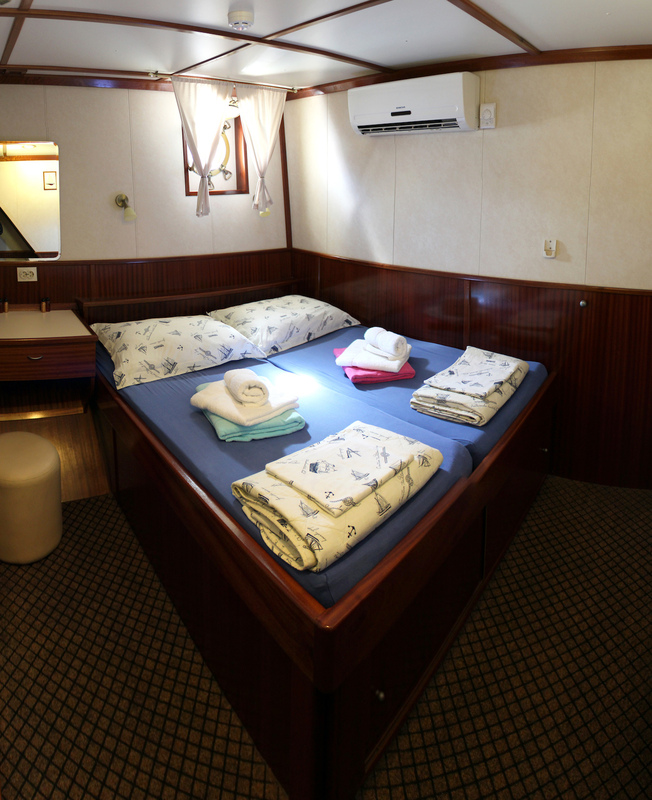 On the upper deck, guests can rest on the sun loungers, lie out on the floor mats or use the area for exercise in the fresh air. 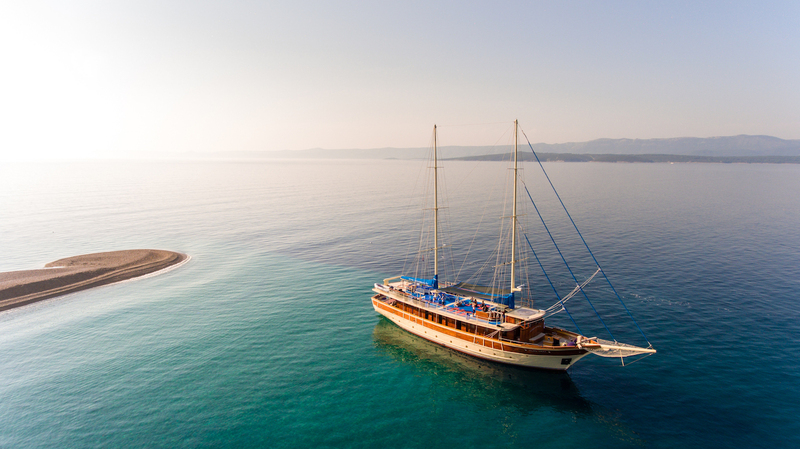 Forward, there are two L-shaped sofas under a canvas shade for lounging out of the sun. 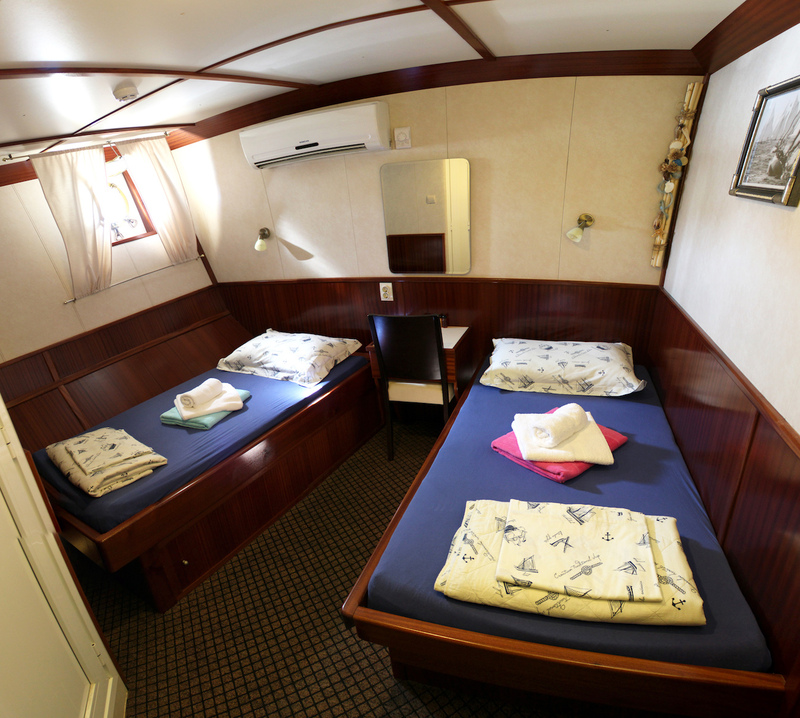 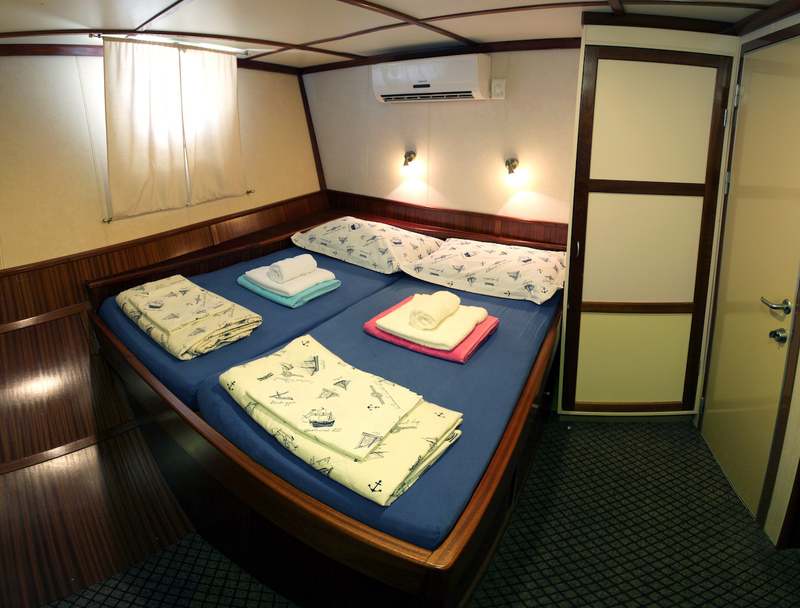 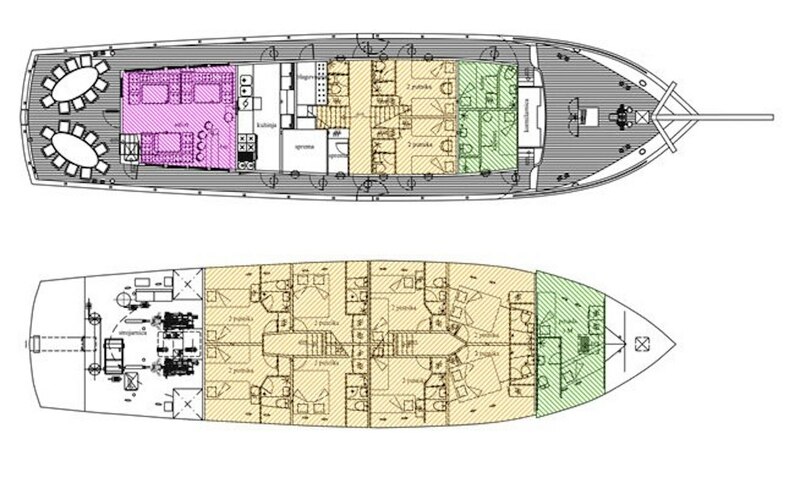 The lower deck contains eight guest cabins, four of which are doubles and four twins. 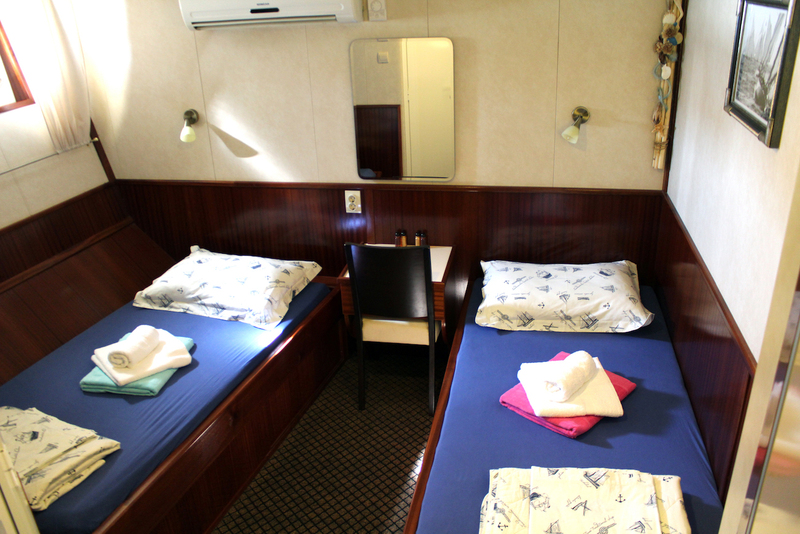 On the main deck, there are two crew cabins forward and behind there are is an extra guest cabin. 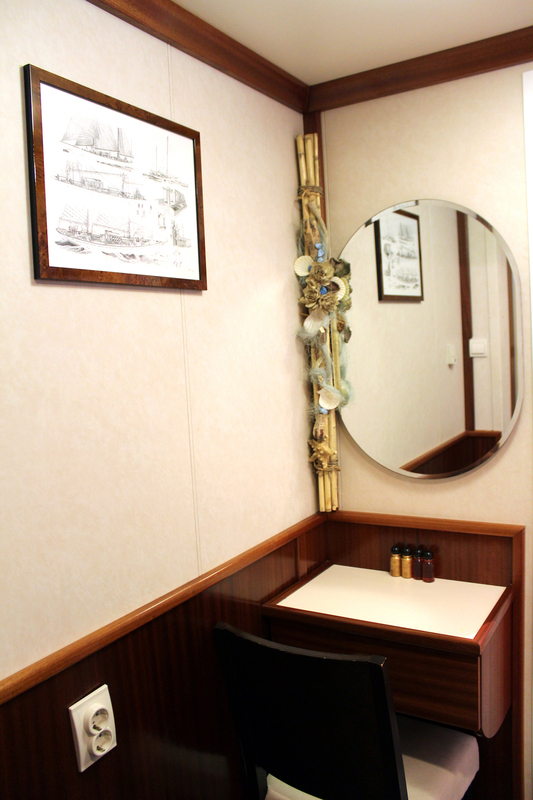 To the aft, the main salon features classic styling using dark wooden panelling and traditional fixtures and artwork. 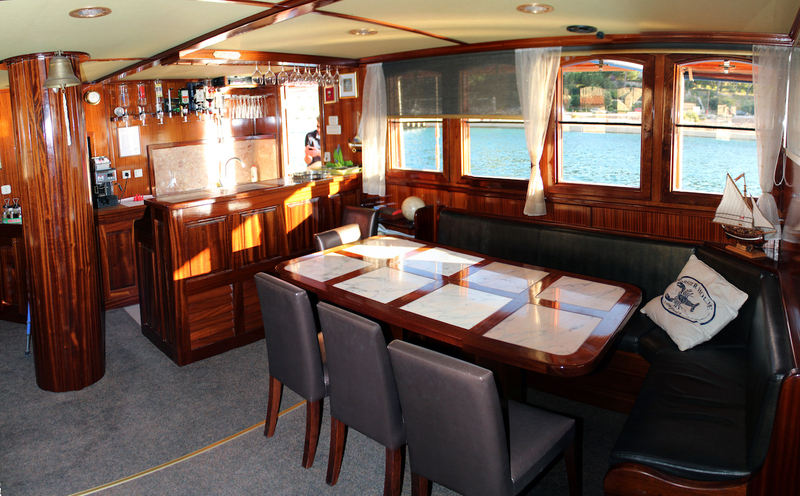 There are two C-shaped sofas and an L-shaped sofa all with raised tables for dining or working on pastimes, and the forward bar has a choice selection of refreshments for throughout the trip and for celebrating a special occasion. 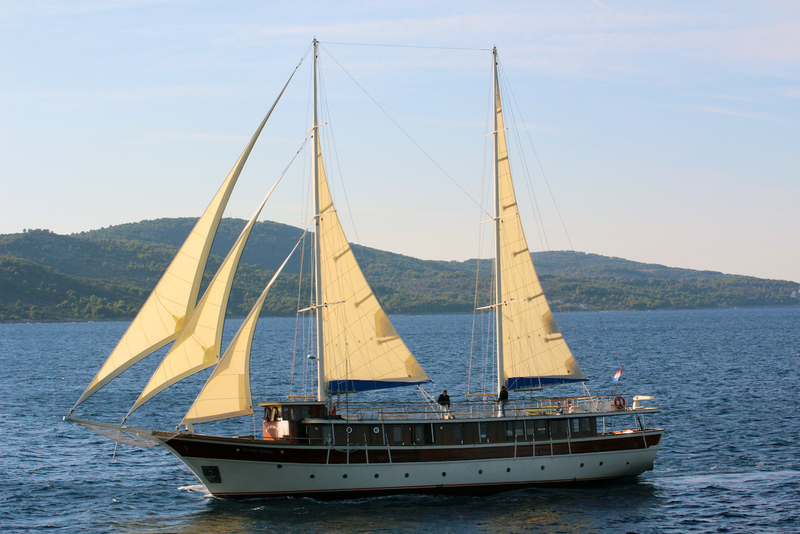 Luxury yacht TAJNA MORA has a pair of Daewoo 285 KS engines for cruising along on windless days. 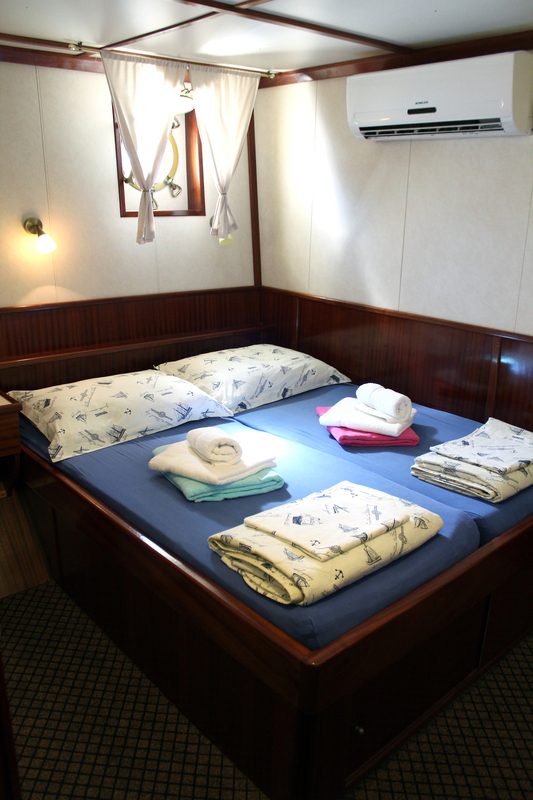 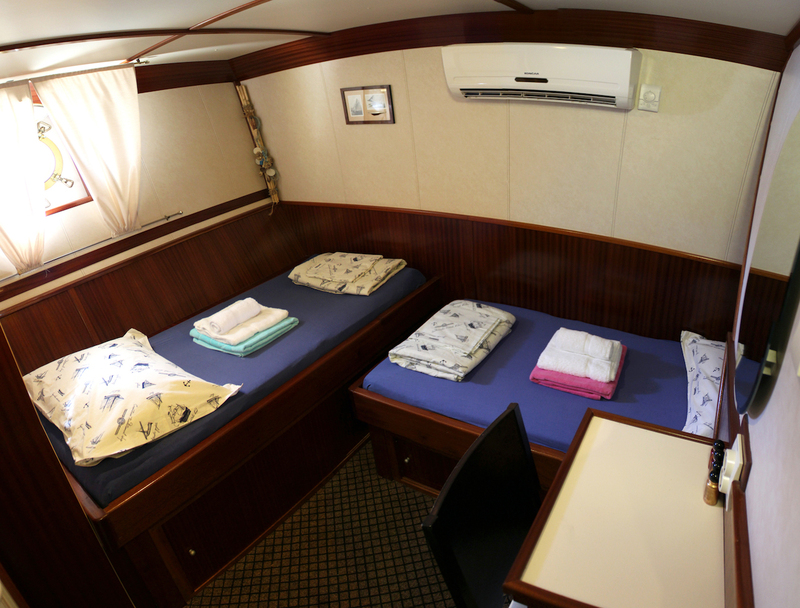 The guest accommodation sleep up to 18 guests across 9 cabins: 4 double cabins and 4 twin cabins located on the lower deck, plus an extra twin cabin on the main deck.